What first started as a spare time project and over a course of hundred hours of modelling, surfacing, lighting and rendering, Mike Pan's 3D rendering of a Model 3 is now available to order on Shapeways. 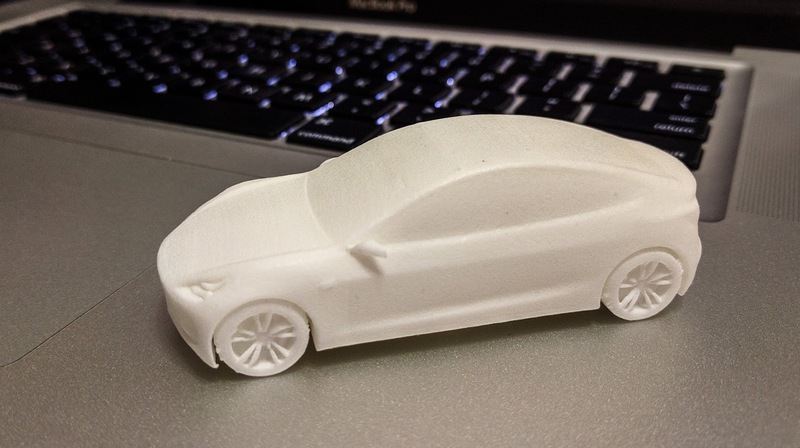 Mike was the first to order and reported receiving his 3D printed Model 3. This is a 1/50th scale model of the upcoming Tesla Model 3 and Mike tried his best to make sure the design is close to accurate relying solely on pictures and videos of the Model 3 since its launch. 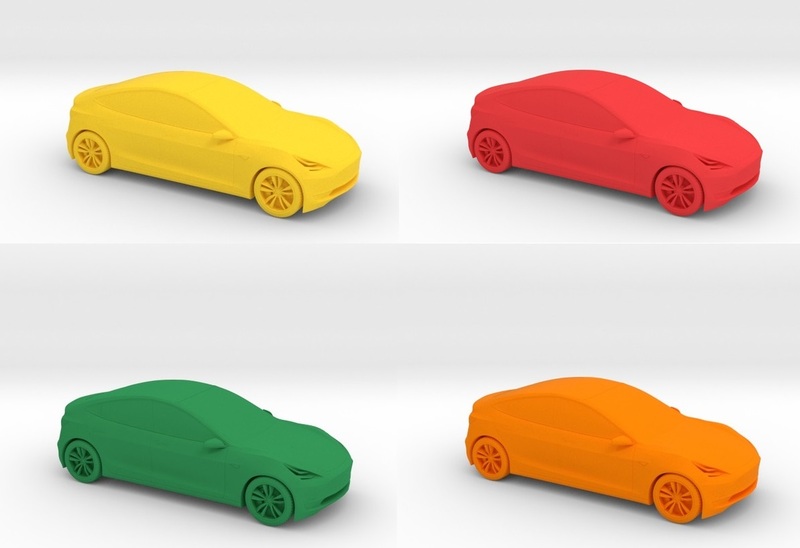 You can order the 3D model on Shapeways in raw aluminium, different shades of steel (gold, bronze, stainless steel, nickel, black or gray) or in Plastic colors ranging from white, black and metallic to yellow, red, green and orange. Prices range from $29 to $299 excluding shipping. Based in Vancouver, Mike has a 12 years of Blender experience and a keen interest in scientific visualization, he has worked for the University of British Columbia in Canada, Institute of Clinical Physiology in Italy, and Harvard Medical School. Modeling the Model 3 has been challenging for him because of the lack of good references. Getting the proportions right was "difficult due to the lack of any planar drawings" he said. 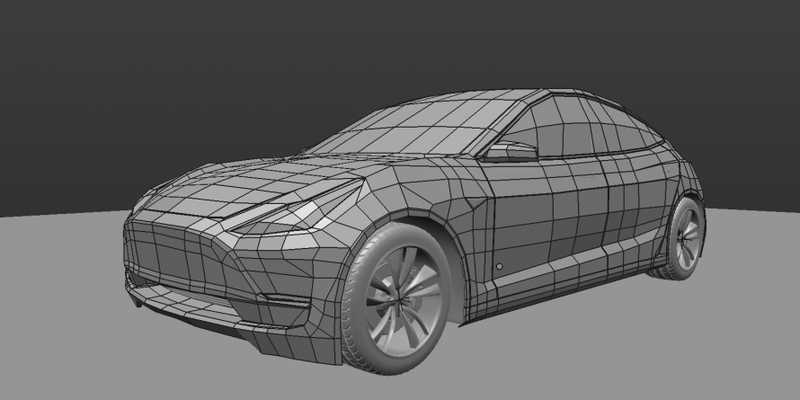 Mike first shared his creation early May on the Blender community. Blender market is the first digital marketplace offering production-ready 3D add-ons, resources and assets built by the Blender community, for the community. 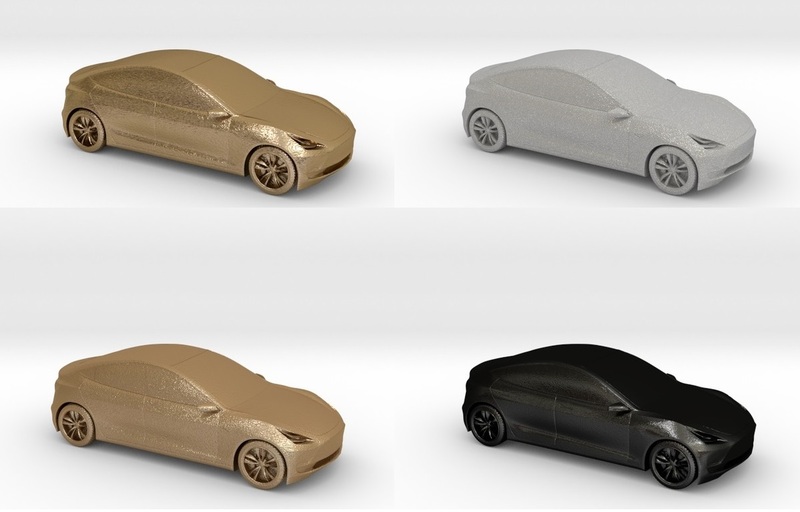 He then uploaded his design on Shapeways where orders of the Model 3 started shipping out worldwide. Shapeways is a Dutch-founded, New York-based 3D printing marketplace and service, startup company. Users design and upload 3D printable files, and Shapeways prints the objects for them or others. Shapeways has factories and offices in Eindhoven, Queens, and Seattle. Shapeways is a spin-out of the lifestyle incubator of Royal Philips Electronics. Shapreways investors include Union Square Ventures, Index Ventures, Lux Capital, Andreessen Horowitz, INKEF Capital, Hewlett Packard Ventures, and Presidio Ventures.